Like anyone else, estates and trusts are taxed on income they earn. A decedent might have owned stocks, bonds, rental property, or other interest- and dividend-producing assets at the time of her death. These assets become "owned" by her estate when she dies, so any income generated by them after this date must be reported by her trust or estate. Estates and trusts that generate income during the year are subject to their own tax rates. They're required to file IRS Form 1041, the U.S. Income Tax Return for Estates and Trusts. Their tax brackets are adjusted each year for inflation, just like personal income tax brackets. Trusts and estates can also take certain deductions, just like any other taxpayer, and they claim a deduction for any asset that's transferred to a beneficiary. Income distributions then become reportable by the beneficiary as they're reported in Schedule K-1, which is sent to the recipient as well as the IRS. Which Estates and Trusts Must File Form 1041? An estate must request a tax ID number for the purpose of filing these documents and transacting other business. This number is called an employer identification number (EIN), regardless of whether the estate actually employs anyone. Estate executors can apply to the IRS for an EIN by mail, fax, or online. The Tax Cuts and Jobs Act (TCJA) changed income tax brackets across the board when it went into effect in January 2018, including those assigned to estate and trust income. The 2019 rates and brackets were announced by the IRS in Rev. Proc. 2018-57 on November 15, 2018. In addition to changing the brackets and percentages, the TCJA also altered the inflation index that increases these figures annually. The Internal Revenue Code previously adjusted bracket thresholds according to the Consumer Price Index (CPI). It now uses the chained CPI, which is a bit more complicated, and it generally results in a lesser inflation adjustment. Nonetheless, these income ranges are expected to increase at least somewhat in 2020. These tax rates and brackets should not be confused with estate tax thresholds and exemptions. They apply only to income earned by trusts or estates before assets are transferred to beneficiaries. 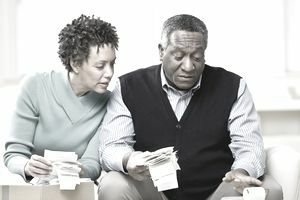 The estate tax applies to the overall value of the estate and requires filing IRS Form 706, the U.S. Estate (and Generation-Skipping Transfer) Tax Return. As of 2019, only estates valued at more than $11.4 million are subject to this tax, up from $11.18 million in 2018 and $5.49 million in 2017. Tax brackets and rates are current as of the 2019 tax year. Please consult with an accountant or an attorney for information regarding more recent years. The information contained in this article is not intended as tax advice, and it is not a substitute for tax advice.